Welcome to the Photo Tour of the Clark Pioneer Recreation Center!! Let's begin in the parking lot. As you approach the Center from the east on Road 1AB (from Edelweiss), the Center is on your right (north) just before the road splits to the Canyon on the left or the school on the right. If you're attending an event at the Center, park in the first parking area close to the building. The handicap spaces are at the immediate end of the building. 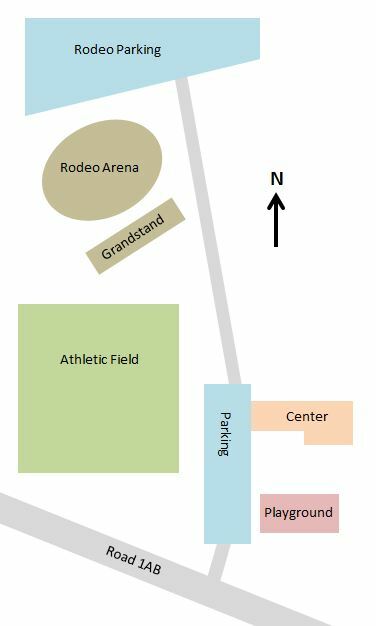 If you're participating in the Jubilee Days rodeo, follow the access road to the north side of the Arena where there's plenty of room for big pickup trucks and stock trailers. 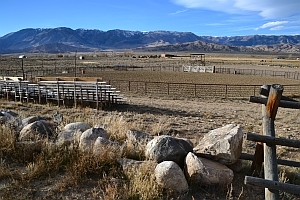 If you're just watchin' the rodeo, park anywhere along the east side of the Athletic Field. The main entrance to the Center itself is under the awning on the south side of the building. If your event is in the Gym, the main entrance may not be open. In that case, follow the sidewalk under the awning to its end where the Gym door is located. Once inside the building, you are standing in the foyer. There's lots of coat and hat hooks here. There's also a bulletin board and a table with information about events, contacts, and other community items. Take your time to look around! 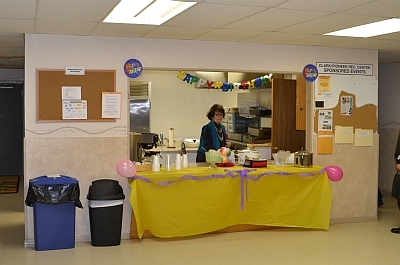 Once you walk through the foyer, you're in the main activity room of the Center. 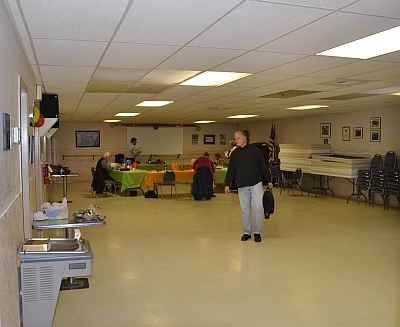 This is where non-athletic events such as dinners, receptions, games and meetings are held. 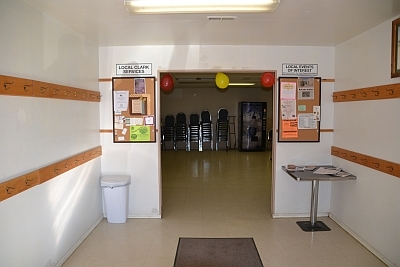 Rest rooms are to your immediate right on entry, just past the water fountain. The kitchen and its serving window are also to your right on entry. Most activities are focused at the opposite end of the main activity room to your left as you enter. If you're wondering about the mirrors, they're only there to fool you into thinking the room is bigger! Not really, it's way better -- we have Zumba exercise dance classes here three times a week! The kitchen is fully equipped to prepare large dinners, with a commercial double-oven gas range, commercial refrigerator, multiple preparation/cleanup sinks, plenty of counter space, and the big serving window. Follow either hallway alongside the kitchen, and you're in the gym. 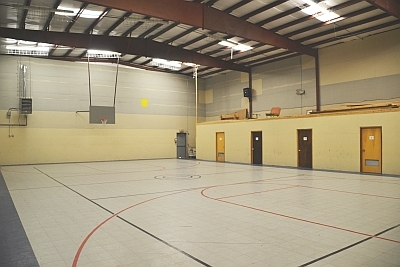 It's a regulation-size basketball court, with a variety of athletic equipment stored in the storage area on the south side of the gym. There's plenty of friendly floor space to hold almost any kind of event you can imagine short of the Republican or Democratic National Conventions. Well, okay, that's an exaggeration, but we're proud of our recreation center!